#Lola Problems | To Be, To Be. Tutubi. 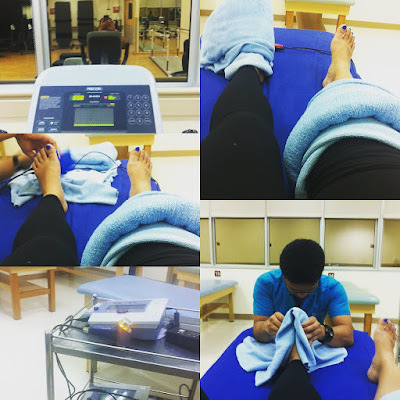 I have been on therapy for my metatarsalgia on my left foot and meniscus on my right knee for the past weeks now. Doing this for 6 sessions and I am currently on my fourth. The pain on my knee started last February during our epic Singapore and Malaysia tour. We walked too much until my knees gave away, hahaha. But the metatarsalgia was a surprise because the cause was said to be wearing of ill-fitting shoes but I can't remember doing this. Anyway, I think this is one of those #lolaproblems that we encounter as we age. I will just try to manage my activities so as not to impact my knees and feet any more than necessary.